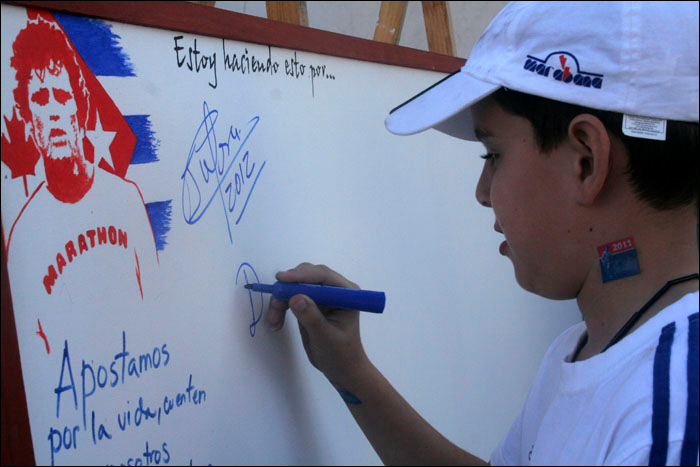 HAVANA TIMES, March 27 — The Terry Fox Marathon of Hope in the fight against cancer takes place each year throughout Cuba and the Havana event is big time. From the enthusiasm you’d think you were in Canada, Terry’s home country. 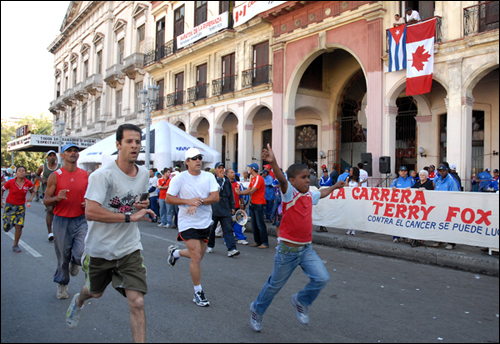 In recognition of the high level of participation in Cuba —second only to Canada— commemorating Terry’s effort to run across the huge North American country with a leg prosthesis, against all odds, the modern day hero’s parents Rolland and Betty as well as his sister Judith were all in the Cuban capital to participate at the March 20, 2010 edition. Photographer Elio Delgado was out and about to capture the festive flavour of the day.